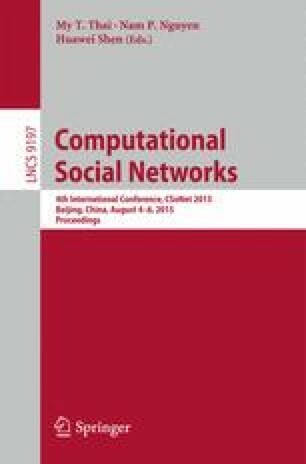 In this paper, we investigate the problem of maximizing the difference between two partitions (or clusterings) of a complex network. Particularly, given the input network represented as an undirected graph and its initial partition X, we are interested in finding a partition Y such that the difference between X and Y, evaluated by the Variation of Information measure, is maximized. This problem is important in understanding fundamental properties of not only the network’s structural organization (via its clusters) but also the internal and mutual interactions among those structures in response to adversarial perturbation. We propose an approximation algorithm to define the new partition Y with a guarantee ratio of \(1 - \alpha - \beta \) (where \(\alpha \) and \(\beta \) are constants derived from the network’s initial partition), and present further optimization to improve the quality of the suggested approach.